Varalakshmi Vratham is a popular ritual observed by married women in South India and Maharashtra. Varalakshmi Vratham 2019 date is August 9. 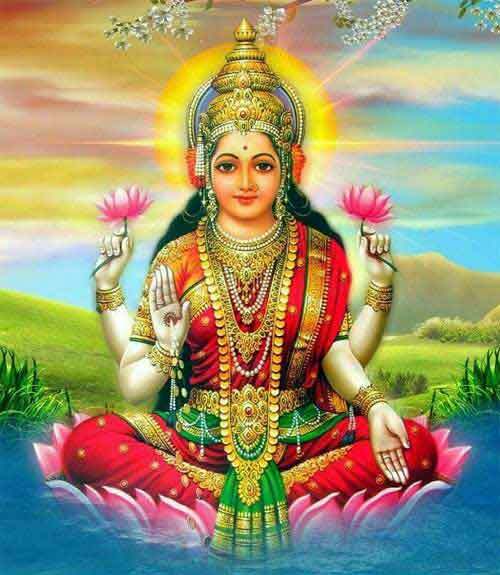 Goddess Lakshmi – the goddess of wealth and prosperity – is worshipped on this day. Varalakshmi literally means the boon granting goddess. Worshipping Goddess Lakshmi on this day is equivalent to worshipping Ashtalakshmi – the eight goddesses of Wealth, Earth, Learning, Love, Fame, Peace, Pleasure, and Strength. courage and victory to those who worship her during Varalakshmi Vratham in Sravana Masam. The importance or significance of Varalakshmi Vrata was narrated by Lord Shiva to Goddess Parvati. It is mentioned in the Skanda Purana that once Goddess Parvati wanted to know about a ‘Vrata’ that is beneficial to all women and Lord Shiva narrated the glory of Varalakshmi Vrata. According to Hindu mythology, once Goddess Parvati asked Lord Shiva about a vratha that will be beneficial to women. Lord Shiva then mentioned the importance of Varalakshmi Vratha. The conversation on Varalakshmi Vratha between Parvati and Shiva takes place in the Skanda Purana. To illustrate the importance of the Vratha, Lord Shiva narrates the story of Charumati. Pleased with Charumati’s devotion to her husband and family, Goddess Lakshmi appeared in her dream and asked her to perform the Varalakshmi Vratha. The pious Charumati invited all her neighbors, friends and relatives and performed the Varalakshmi puja as directed by Goddess Lakshmi. Soon after the puja, all the people who participated in the puja where blessed with wealth and prosperity. According to another Hindu legend, the origin of Varalakshmi Vratha is associated with a game of dice played between Lord Shiva and Parvati. Goddess Parvati who was winning all the games was accused of cheating by Lord Shiva. So they decided to appoint Chitranemi, a gana of Shiva, as the umpire. Chitranemi ruled in favor of Lord Shiva and this angered Goddess Parvati who cursed him to be a leper. Shiva asked Parvati to forgive Chitranemi and she agreed to revoke the curse if he watched Varalakshmi Vratha performed by pious women. The tradition of Varalakshmi Vratha started from then onwards. The Varalakshmi Vratam is grandly celebrated as annual event at the Padmavathi Ammavari Temple, Tiruchanur. Goddess Padmavathi is decked up in the form of Varalakshmi on this day and She blesses her devotees with happiness, wealth and prosperity. Thousands of devotees arrived in the temple to take part in the Varalakshmi pooja. On the day, the devotees attend the pooja in traditional dress and offer pooja with devotion, concentration and faith. They seek her blessings for prosperity and well being of their families. In the evening, Goddess Padmavathi Devi is taken around in procession in a golden chariot through the holy streets of Tiruchanur. This procession is followed by Veda parayanam, traditional folk dances, bhajans and songs in the praise of Goddess Padmavathi Devi. Devotees and residents of Tiruchanur participate in this evening procession and offer fruits, coconut and flowers. Goddess Padmavathi Devi blesses the devotees sitting atop the golden chariot.